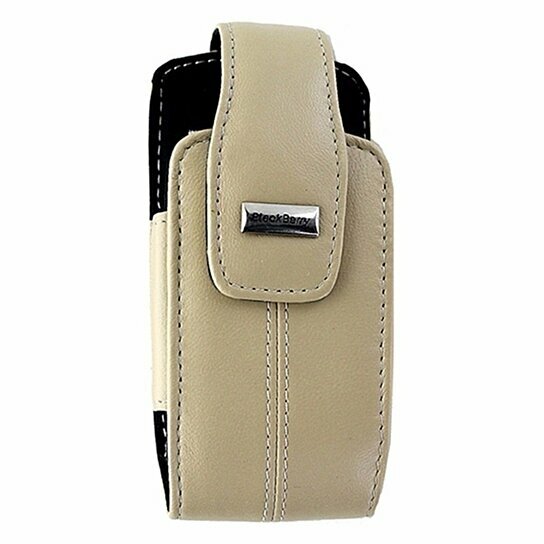 BlackBerry products, Leather Pouch with Belt Clip for BlackBerry Pearl 8100 / 8100c. Off White leather finish. Rotating belt clip.